A day before the PMA 2006 begins we ran into the Vivitar booth at the Sneak Peak event where Vivitar showcased their digital camera line-up. 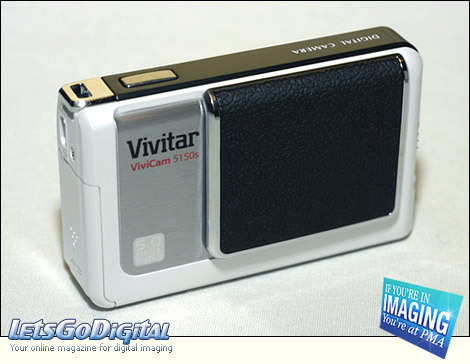 The Vivitar ViviCam 5150s digital camera is a very easy-to-use digital camera with a 5 Megapixel CCD image sensor. The Vivitar ViviCam 5150s camera takes beautiful 5 Megapixel shots and the digital camera has a 4x digital zoom, a 2.0 inch color TFT screen, 16MB of internal memory and an optional Secure Digital card slot supporting flash memory storage capacity of up to 1GB. Due to the PictBridge standard support there is no need for a computer to select and print the images from the ViviCam 5150s digital camera. Vivitar 5150s - 5 Megapixel camera - The new Vivitar 5150s digital camera has a 2 inch TFT LCD monitor which gives you the opportunity to compose and to share your favorite moments. With the 5 Megapixel resolution the entry-level digital photographer is able to print out photo realistic photos and even post-process them and personalize his own digital image. The Vivitar ViviCam 5150s features a built-in flash and offers three flash modes. Although there is optical zoom available the 4x digital zoom offers the creative freedom you may need to capture that memorable shot. About Vivitar Corporation - Vivitar Corporation, a leading manufacturer of both digital and film cameras, hosts a complete line of photographic products including digital cameras, 35 mm zoom cameras, auto focus cameras, 35 mm SLR cameras, manual and automatic lenses, flashes, binoculars, projectors, and camera accessories. Vivitar has an extensive line of affordable digital cameras ranging from entry-level VGA cameras to 10 Megapixel digital cameras with zoom optics. The ViviCam series of digital cameras is one of the broadest product lines of digital cameras on the market today spanning the spectrum of interest from novice through serious-amateur digital photographer. 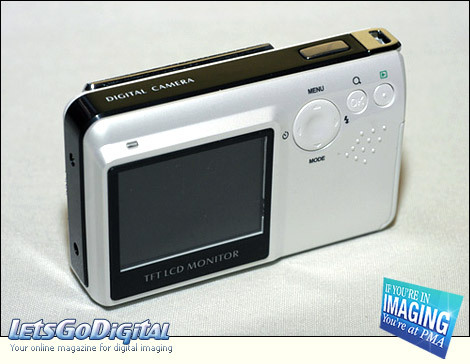 The Vivitar digital camera line is constructed on the premise of value and quality. Vivitar Corporation is based in the United States with offices in Hong Kong, UK, France, and Canada. Vivitar products are distributed worldwide through a wide-variety of stores, merchants, and dealers. Vivitar products are found in specialty stores, photo stores, mass merchants, drug store chains, warehouse super-stores and on-line.